Christian Woodward is a software sales executive with more than 20 years of IT sales experience with leading companies such as Apple, VMware and New Relic. He currently leads the American sales organization and business unit for OutSystems, the leading, low-code development platform for enterprises globally. He has significant experience in cloud, mobile and enterprise software, developed while working with leading Fortune 500 companies. He’s led sales teams at mature public companies, newly -minted IPO’s and venture backed startups. Christian Woodward: Sure, at its simplest form, OutSystems is a company that provides a low-code development platform. What that means is we provide a development platform for software developers that quite simply allows them to do their job quickly and more efficiently than when compared with traditional means. What I think it’s analogous to is when I started getting into computers and taking computer science courses back in high-school we started with DOS as the primary operating system. Not too far after that, Microsoft Windows came out and the Mac came out and the primary way that you interfaced with the computer was visually, through visual gooey. We’re applying a very similar paradigm to the software development process. What excites me about it, there’s a lot of things that excite me about it but I don’t have to spend too much time on this and tell you that pretty much every industry around the world is being disrupted and we can look just back on what happened with Walmart and their earnings released last night to learn that technology, and primarily software, is the major core of that disruption mark and recent so that software is eating the world, and it absolutely is. What excites me about what we’re doing at OutSystems is we’re providing a mechanism for companies to become more creative with their software projects and get through them at a lower cost and much more efficiently than ever before. 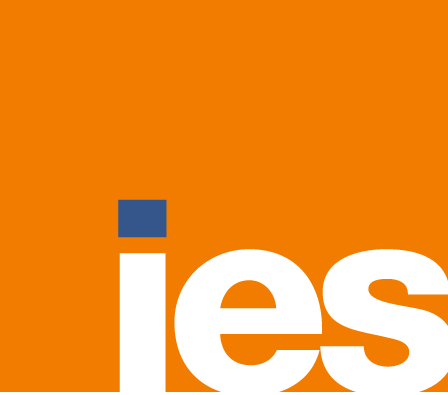 We’re helping some of the best brands close their digital gaps, we’re helping schools educate their students through creative use of technology, we’re helping governments serve their citizens better and we’re helping large enterprise organizations retain their customers and enter new markets. Fred Diamond: You just mentioned a couple of the vertical markets that you focus on. Who exactly do you sell to? Tell us the type of person that your organization sells to. Christian Woodward: It could be an enterprise architect, a VP of engineering, a chief digital officer, a CIO, it could be a line of business manager. Regardless of title, what all of these people, what all of our target customer has in common is we’re looking for those that are the digital change agents or those that have the highest stakes in helping their company through some sort of digital transformation efforts. Fred Diamond: How did you first get into sales as a career? Christian Woodward: My father was in sales as I grew up and my mother was a school teacher who taught computers and I think that was one component that had a lot to do with where I am right now. I remember my junior year in college, however, as kind of a seminal moment and I took an interpersonal communications class which was a deep study into the way that two people interacted with one another and I started to apply that in the business world, into the business courses that I was taking and just got very intellectually interested in that pattern and how people communicated with one another to achieve a certain outcome. Then when I had the opportunity to graduate from school, I remember meeting somebody who was a really polarizing individual in a positive way and was just an incredible personality. After spending about an hour with the guy, it dawned on me very quickly like, “Hey, I’ve got to go work for this guy, this is somebody I’m going to learn a lot from.” And there I was and here I am. Fred Diamond: What was your first job? Were you selling in technology right out of college? Christian Woodward: I was selling in technology right out of college for a telecom and internet provider. Fred Diamond: OK. What are some of the things that you remember from your first sales job? Christian Woodward: The first thing that I learned, #1 was to be bold and be resilient. Back in the late 90’s when the telecom market and the internet market were just beginning to explode, there was a lot of competition. That meant folks like me often had to deal with a lot of rejection, so I quickly developed a very thick skin. I’d say the second thing was so much of our time as sales leaders, especially back then, was spent on training sales individuals and contributors in the message. What to pitch, how to pitch, what to say when you pitch, getting the presentation down, but the folks that I worked for put a big emphasis on listening to, so learning to listen. Then I’d say the third thing, and we talk about the difference between the art and the science of sales and it’s a balance between the two, but it’s the discipline with the art and the discipline with the science. You have to practice the art, you have to study the science. Those are the three big things that I learned early on in my career. Fred Diamond: Very good. Tell us a little more about yourself, tell us what you specifically are an expert in. Christian, tell us a little more about your specific area of brilliance. Christian Woodward: That’s a really tough question, Fred. Although I love the question, when I think about being an expert I think of somebody that has a lot more tenure as a seller and as a sales leader than I do. I’ve been doing this for over 20 years but then again I’ve only been doing it for 20 years so I have a lot of development to do. So it’s hard for me to say that I’m truly an expert outside of anything aside from my own faults and shortcomings. That said, I do want to give you a more specific answer so I’ll leave you with this: one of the coaches that I follow has this notion where he doesn’t believe in failure, neither really do I. He believes in winning and in learning, and in sales in order to learn, you have to listen. Over the last 21 years I’ve spent a lot of time making sure that when I’m involved in any sort of sales conversation with a customer, partner, employee, recruit, that I’m mindful of listening and how I can help advance the career, the customer relationship, the partner relationship, etcetera. The other thing, and you kind of got a little bit of exposure to this over the weekend when we were trying to get this on the schedule is I have a very busy life, both at work and outside of work. Three kids, all of them play, usually three sports a season, my wife is also in the business. I’m constantly asking myself what are the most important things that I need to do today, this week, this month to impact my team, my family, my life to the best extent possible. Some people call this essentialism, I call it ruthless prioritization. If there’s anything that I’m an expert at, it’s that, and it’s somewhat out of a necessity. Fred Diamond: Listening comes up not infrequently, and a couple of the Sales Game Changers that I’ve interviewed over the last couple of months have said you have two ears and one mouth for that reason, and you should definitely use them in that priority. What are some things you do when you coach your team to be more effective at listening? Christian Woodward: With a newer focus that we on board, we make sure something as simple as asking open ended questions and doing a whole lot of research before a conversation is happening on a consistent basis. The other thing is before we have pivotal meetings or pivotal interactions with customers, we often rehearse them and go through the questions that they’re going to ask and expected answers that they’d receive as a result. Fred Diamond: Tell us about an impactful sales career mentor and tell us how they impacted your career. Christian Woodward: Fortunately enough, Fred, I’ve had the opportunity to work for some really remarkable leaders. I could name a bunch on this call and I get this question a lot, actually. But if I think about the one individual who’s had the biggest impact on me in recent times it’s the gentleman that I reported to directly during most of my time while I was at VMware. The reason that I say that is because this individual had an innate ability to assess your comfort zone and make sure that he was consistently pushing you outside of it in a very professional manner. I remember for the first six or eight weeks that I was working for this guy, I had to come home and talk to my wife and just say, “I don’t know if this is going to work out because he’s making me do things that I just don’t know if I want to do.” But over time I realized what he was doing and as a result it forced me to grow as an individual and develop new customer relationships and do things that I, quite frankly, never thought were possible. So now looking back upon that moment, I’m embracing that and doing the same things with the leaders that work for me and the individuals that work for me. I’ve also embraced it personally to make sure that I’m doing things on a daily, weekly basis that are far outside of my typical level of comfort. Fred Diamond: Interesting. Do you still keep in touch? Christian Woodward: Absolutely. Very frequently. Fred Diamond: Christian, what are the two biggest challenges you face today as a sales leader? Christian Woodward: #1 is recruiting and I don’t know if it’s something that you heard before, I got to assume that it is. But if you think about the world that we live in OutSystems right now, we’re taking a very disruptive and new paradigm to an old, very manual industry. That requires us to go out and find people who also have walked down this path before and have forged new ground and blazed new trails which isn’t the easiest thing to do because you need to combine that bleeding edge technology and the ability to sell to an executive in a very disruptive market, but at the same time have the good sales hygiene, the sales skills and the background that quite frankly every sales professional is looking for. The other thing that I’d say, the other challenge is development because the market that we’re in is moving so quickly and there are new competitors coming into the game every single week. We need to stay on our toes and stay sharp and that requires constant training and constant employee development. 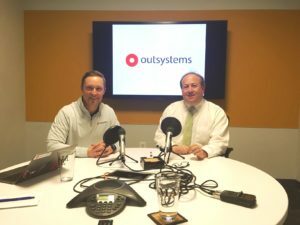 Fred Diamond: Who would make a great sales person for a company like OutSystems? Christian Woodward: Somebody that loves constant change, somebody that lives and can thrive in an ambiguous world, somebody that’s passionate about disruptive technology and passionate about digital. Somebody that has taken disruptive technology to a market and somebody that really wants to act like a general manager or CEO of the territory. Our sellers are folks who not only have to maintain customer relationships and do deals and close contracts, but they’re also folks that have to be great marketers and have to be great at channels and alliances and really and truly building a business in their respective regions and territories. Fred Diamond: That’s a great answer. Some of the Sales Game Changers podcast that we post, some of the leaders have said, “When you come to my company, treat yourself like you’re the business owner and you’re the owner of the territory or whatever it might be and you’ve got to take ownership, you’ve got to figure out how to be strategic, you’ve got to figure out how to market.” I’ve got a quick question for you before we ask you about your success. You’ve worked again at big brands like Apple and VMware with large sales companies – sales organizations, I should say. You’ve also worked for a newly minted IPO company such as New Relic and now you’re working for a venture back company, OutSystems. Which do you enjoy the most? Do you enjoy working for the big brand, the stable type of company or do you like the day to day challenges? For example, we’re doing today’s podcast, we’re interviewing Christian at his offices over in Reston and there’s a nice energy, here. There’s a vibe, there’s people walking around that are motivate with a little bit of a kick in their step, if you will. Which do you prefer? Christian Woodward: It’s a really good question and I’d say at this point in my career, Fred, I really enjoy working for the pre IPO venture back startup. The reason being, and I mentioned this earlier during the introduction, I consider myself a lifelong student and I love learning and working for a startup has given me the opportunity to flex muscles that I haven’t had to flex before or haven’t had to flex in a while and learn new things that I just never would have had the opportunity to, had I remained as a sales leader for a big company. That has given me the opportunity to develop in new areas that I’m looking to take advantage on later on in my career. Fred Diamond: Christian, what’s the #1 specific sale success or win that you’re most proud of? Why don’t you take us back to that moment? Christian Woodward: That’s a really good question. I think of super competitive deals with local large banks that are going through a huge disruptive digital transformation effort. Yesterday I was down in Birmingham, Alabama working on a massively competitive opportunity where we’ve recently gotten the nod for a large, strategic project with another financial services firm that’s a household name. When I – and I get this question a lot, too – When I really think about the proudest moments of my sales career, I think about a couple of the folks that I’ve developed. A few come to mind. There’s one individual that I hired when I was a newly minted leader at VMware and we hired him in as a seller and it was his first opportunity carrying bag and being a traditional seller. Over the course of three or four years that he worked for me, I saw him grow as a new, rookie seller into somebody who’s now a global account manager responsible for a multimillion dollar line of business calling into a Fortune Ten account. I think of another individual where he was a very young, maybe a little bit out of profile just in terms of number of years of experience, young seller who had a ton of potential that was thrust into a market where he was calling in fortune 100 to Fortune 500 accounts and maybe a little bit a too far over the edge so I had to have a really difficult conversation with him about maybe shifting him into a different group. It was a tough conversation and it’s not one that he loved at the time but I look back upon that conversation and what’s happened over his career over the last 3 or 4 years since that moment occurred and the guy is wildly successful in the role that he’s currently in. He’s going to continue to have an incredibly bright future. Then I think about a third individual who’s kind of at a different point in his career that had a lot of experience and more than I did as an individual seller but we spent a lot of time together and I still get a text message from him around Christmas every year that just simply says, “Thank you.” That’s a thank you for the things that he’s learned along the way. Most of the time I like to think that I’m responsive to it in the event that I don’t respond all the time and he is listening to this podcast, I don’t want him to think that that goes unnoticed. Those are the most memorable things I’d say over the last 20 years. Fred Diamond: Christian, you’ve had a great career in sales. You’ve told us some great stories. Did you ever question being in sales? Was there ever a moment where you thought to yourself, “It’s too hard, it’s just not for me”? Christian Woodward: Never. No. Ever since I got into sales, I knew it’s where I belonged as a professional. I’d say that that feeling has manifested itself even more as a sales leader. Are times tough, do I face challenges? Absolutely, but what forces positive change and development and progress are how you react to those times. Fred Diamond: Christian, what is the most important thing you want to get across to junior selling professionals to help them improve their career? Christian Woodward: Sure, I’ve got two things for you, Fred. #1 is find a mentor. Fortunately, I’ve hired, I’ve interviewed, I’ve worked with a lot of really smart individuals over the course of my career but career development, I believe, is not something that you should go totally rogue on and do by yourself so take the time to ask people to contribute into your own success and what I found is that once asked, people are usually very generous with their time. The second thing that I’d say is play the long game. What I mean by that is you’re going to be faced with decisions about your job, about your career, about customers, about a particular deal and you’re going to have to prioritize the short term game versus long term success. If you want to stay in enterprise sales throughout your career, I would keep focused on the long game versus the short term game. Fred Diamond: What are some of the things that you do to sharpen your saw and stay fresh? Christian Woodward: That’s a good question. In terms of sharpening my saw, that’s something I worry about every minute of the day as I focus on doing just the most essential things, but I also focus on the most essential things that aren’t part of my job description. For example, learning the technology so I’m viewed as a thought leader who can bring value into a conversation and in order to do that, I frequently set up one on ones or dedicated times through the course of a week or a month to interface with the guys in our front lines from a product in engineering standpoint. Is it necessarily required of me, my role, is it part of my job description? No, it’s not. Does it make me better at my job? Absolutely. The other thing that I do, Fred, is I tend to read a whole lot just to gain perspectives from folks outside of the industry. The third thing which is a great practice which I need to do more consistently in 2018 is I’ve often blocked off an hour a week on my calendar to do networking with various other thought leaders from around the industry, and not necessarily folks that work for my company or in my space, but folks that can just help broaden my perspective. The other thing that I found that that helps me out with is recruiting and building a bench of top talent because those folks inside of my expanded network often have their eyes on the top talent and top folks that can add value to our team. Christian Woodward: At a company level, rolling out a practice that was started at Intel and made popular by Google to ensure strategic alignment from the C suite all the way down to the field. As you can probably imagine in a rapidly growing startup software company, it’s easy to go and chase the shiny object. It’s easy to have competing priorities so in order to have some structure and rigor around focusing on the things that matter most, we’re actually placing a formal structure in place to help us do that. Fred Diamond: Very good. Christian, sales is hard. Again, you said you’ve never not thought about being in sales but people don’t return your phone calls or your emails. You’ve worked with some of the biggest brands, Apple and VMware, with well-established sales processes and decades of sales history and now you’re working for a venture back company called OutSystems. What is it about sales as a career that keeps you going? Christian Woodward: It’s simple, I’m competitive and I love winning, and along with it I love learning. Fred Diamond: Very good. We talked today on the Sales Game Changers podcast with Christian Woodward, Christian’s given us some great insights. The one I liked best: ruthless prioritization. Sales Game Changers, don’t waste any time, ruthless prioritization. Christian, why don’t you give us one final thought you’d like to share to inspire the Sales Game Changers listening around the globe today? Christian Woodward: Sure. I’m going to start with something that Vince Lombardi said and then I’ll add some color. Vince said, and I quote, “The difference between a successful person and others is not a lack of strength, it’s not a lack of knowledge, but a lack of will.” If I think about how that applies to professional selling, compared to other industries that I looked at and compared to other things that I looked at when I was coming out of college, professional sales really has kind of a low barrier of entry. You don’t need an advanced degree, technical training, etc. I do believe that it’s harder than a lot of other industries and roles to be successful in because by nature, it’s competitive. That said, I’ve seen people from all walks of life, from GED’s to former military, professional athletes, folks dealing with drug and alcohol abuse looking to chart a new course for themselves, I’ve seen all of these types of people be wildly successful in sales and I think that the opportunity to be successful in sales is open to everybody, but not everybody’s going to do it. It’s the folks that have the right amount of will and discipline that are going to be wildly successful. Fred Diamond: The willingness to do what’s necessary.